Drones for Real Estate Marketing: Are They Worth It? In the last two years, drone technology has rapidly evolved. If you wanted an aerial image, you either had to hire a professional helicopter pilot or had to know how to assemble electrical components and solder wires, set up a flight computer and integrate a camera. Today, with a few clicks on Amazon, you can have a flying professional camera and supercomputer on your doorsteps within 48 hours. With this major leap forward in technology comes a change in the way people are marketing and selling products and services in all types of industries, but one of the most prominent is real estate. Now that more and more real estate agents have access to aerial photos and videos through drones, homebuyers and sellers are changing the way they expect to interact with real estate listings. According to MLS statistics, homes with aerial images sold 68 percent faster than homes with standard images. Video tours that incorporate drone footage are also a great way to make your property stand out and to attract new listings. According to the National Association of REALTORS® (NAR), 73 percent of homeowners say that they are more likely to list with a real estate agent who uses video to market their home; however, only 9 percent of agents create listing videos. An Australian real estate group reported seeing a 403 percent increase in traffic for listings that included video as compared to listings without. Some of you might be thinking, “Is it really worth it for me to pay someone to take aerial photos and video of my listing?” Let’s look at some numbers. Let’s keep things simple and assume the price of the average home you sell is $350,000 (the approximate average as of October 2016), the total commission is 6 percent, your brokerage gets 3 percent, and you end up with 1.5 percent (half of the 3 percent). That’s $5,250 for you per transaction. Let’s also assume you close 11 transactions per year (NAR average for 2015). That’s an annual salary of $57,750. Now let’s say you begin to incorporate aerial photos and videos into your marketing plan for your listings. If we go off of the statistic that homes sell 68 percent faster when using aerial imagery and that 73 percent of homeowners prefer to list with an agent who uses video, we can be conservative and say that you could attract 50 percent more listings and close 50 percent more deals—pushing the 11 transactions to approximately 17, which would result in an annual income of $89,250 in our scenario, an increase of $31,500. The average cost of hiring a drone pilot to shoot and edit varies by the size of the property and the area you are in, but the average is about $500. If you use a drone pilot for each of the 17 listings, it will cost you approximately $8,500. That is a net increase of $23,000 per year ($31,500 minus $8,500) from deciding to incorporate drones, a return on investment of 270 percent. So You Want to Hire a Drone Pilot. What Should You Look For? The FAA established new regulations in August 2016 that required anyone using a drone for commercial purposes (defined as anything other than recreation) to hold a Remote Pilot Certificate with a Small UAS Rating. If you are going to hire a drone pilot, make sure they have this license. 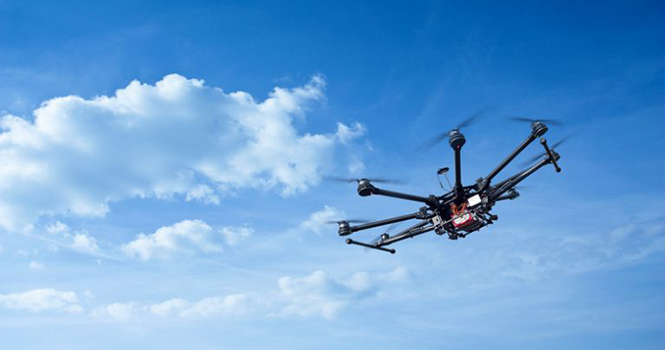 Not only does this ensure that the drone pilot knows the rules they need to follow, but it also protects you from being associated with any illegal operations. The FAA has handed out hefty fines to people flying drones illegally. There are a number of insurance options out there for drone pilots. Make sure that your hired drone operator has liability insurance in the event something goes wrong and they damage that beautiful house you are trying to sell. Standard liability policies cover up to $1,000,000. If someone is offering their drone services, it’s a given that they should have a demo reel of properties they have photographed and filmed. Go to their website, check out their work, and make sure it measures up to your standards. Not all drone operators are created equal. It takes practice and skill to get those smooth drone shots that make or break a listing video. David Young is the founder of Drone Launch, a business focused on giving people the knowledge and tools they need to safely and profitably use drones for business. Contact David at david.young@dronelaunch.co or through Twitter and Instagram @dronelaunch. For more information, please visit DroneLaunchAcademy.com. This was originally published on RISMedia’s blog, Housecall. Visit the blog daily for housing and real estate tips and trends. Like Housecall on Facebook and follow @HousecallBlog on Twitter.